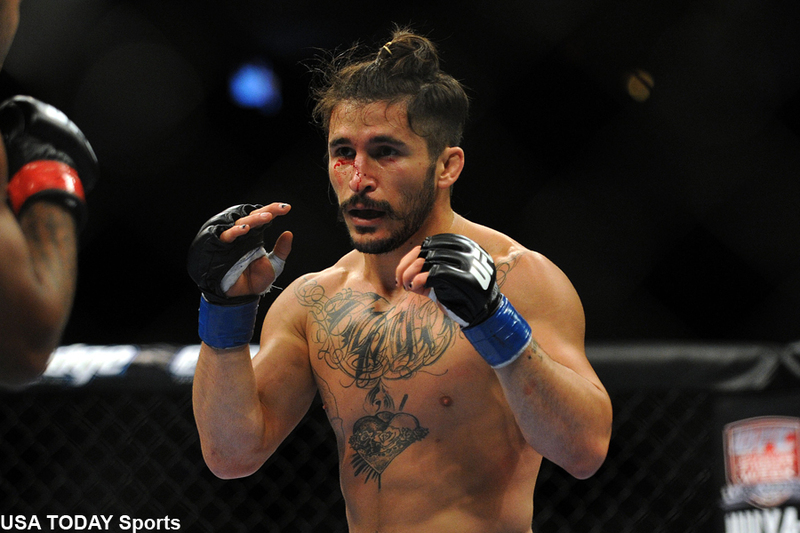 Ian McCall (pictured) vs. John Lineker: Take Two. On Tuesday, the UFC announced the flyweight affair has been rebooked for UFC 183. The 125-pounders were initially slated to meet at UFC Fight Night 56. However, after both making weight at Friday’s weigh-ins, the UFC’s medical staff pulled McCall from the bout later that night after his body didn’t recover from the weight cut. McCall will be riding a two-fight winning streak into the tango. “Uncle Creepy” was last seen in July posting a unanimous decision victory over Brad Pickett. Lineker has won five of his last six contests. The up-and-coming 24-year-old TKO’d Alptekin Ozkilic in his most recent outing.